Lake Heights Hotel has a full In-House Restaurant and Bar. We cater for early business breakfast meetings, a la carte lunches and dinner in the Bridge Bar. 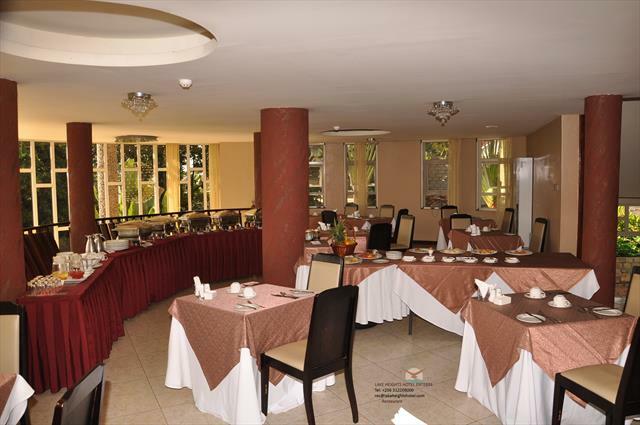 Our Menus have a Steak House inspired cuisine which will ensure that you leave comfortable and satisfied. Portion sizes are not for the faint hearted. Sundowners or cocktails can be sampled in the Bridge Bar in the cool of the early evening overlooking Lake Victoria.